Botanique Workshop Gift Set Men. 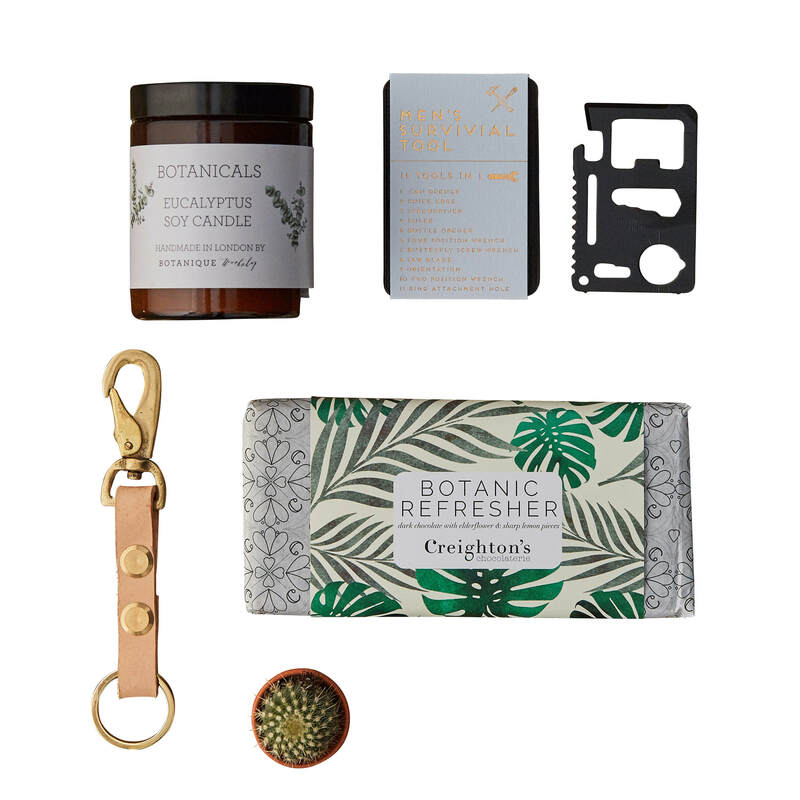 The Men's Gift Set includes a Eucalyptus Hand-poured Soy Candle, a Men's Survival Tool, a Brass Key Ring, a Botanic Refresher Chocolate bar and a Mini Cactus. Botanique in London, United Kingdom.